We recently received an American Graphic Design Award from GD USA Magazine for design work on behalf of our clients Global Aerospace, Inc. and LaserCycle USA. Earlier this year, we designed a series of four safety promotion posters for Global Aerospace, Inc., which were also featured in the June issue of GD USA Magazine. The posters promote Global Aerospace’s SM4 aviation safety program using a 1960s-era movie poster style. 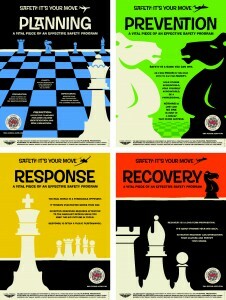 All four posters creatively leverage the theme of a chess match as a metaphor for a strategic approach to air safety. 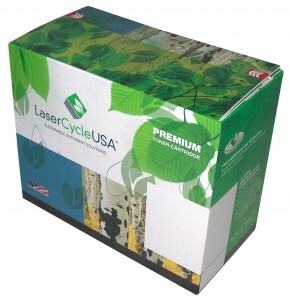 For LaserCycle USA, we designed a box for the company’s remanufactured laser toner cartridges. The bright new look of the boxes reflects the positive environmental impact of LaserCycle USA’s re-manufactured cartridges and its commitment to reduce greenhouse gasses and landfill space. Last Post: Congratulations to Birko, Top Company Finalist!